The “End of Worry” in a dangerous world? In light of the recent bombing in Boston, I thought I would use today’s post as a timely book note. Will van der Hart (Anglican vicar) and Rob Waller (Psychiatrist) have written a small but helpful book entitled, The End of Worry: Why We Worry and How to Stop (2011, Howard Books). What makes this book interesting is the fact that Will freely discusses his own struggle with worry, made more evident after the 2005 bombings in his city of London. While the bombings were the final straw to panic attacks, Will also explores some of the early roots of worry in his life. If you struggle with worry, there are several reasons why this little book might be a comfort to you. The authors write as if they know worry and fear. Worry is portrayed not only as a spiritual problem but also explored through lenses of psychology, biology, and habit formation. Their solutions are practical but do not pretend to be simplistic. In fact, they devote some space to the notion that you should “stop trying not to worry.” Sound radical? The book sits firmly in the cognitive behavioral model of intervention. Therefore, much of it encourages readers to explore belief systems about self and world and to begin challenging faulty thinking and to work to replace with more appropriate cognitions, meditations, and self-talk. CBT is not the only therapeutic model but offers anxious people something to do. If you would like to work through a book that describes the process of worry and perfectionism and then gives you some ideas to examine and change your own struggle, this might be the book for you. 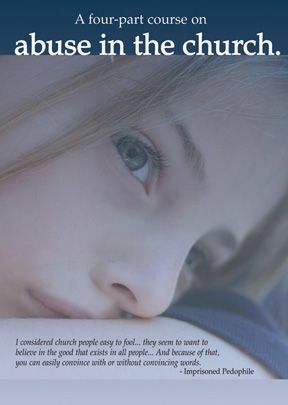 *I received a free copy of this book without any obligation to write this post. In preparation for the start of our introductory Global Trauma Recovery course here at Biblical I re-read Richard Mollica’s Healing Invisible Wounds book (see previous posts about the book here and here). Mollica reminds us that there is a healing way to tell one’s trauma story…and there are destructive forms of telling the story. Trauma victims do need to tell their story. They need to be heard. But some forms of telling do more damage than good. Signs that the telling may not be helpful? Facets of healthy trauma telling? Notice that the storytelling is not just about what happened. It is also about the significance, looking from God’s perspective (on self, other, world, etc.) and identifying new connections, skills, resiliencies, etc. What traumatic events have happened? How are your body and mind repairing the injuries sustained from those events? What have you done in your daily life to help yourself recover? What justice do you require from society to support your personal healing? No matter the differences in terms and methods from one Arab country to another, such people [those who had just taken his adult son] are always gracious when inviting their prey to be their guests and they will always be bringing them back in an hour or so at the most. Men and women have spent decades in the cells of the Arab regimes without ever finishing that damned cup of coffee. The message of fear or, rather, of intimidation…. Besides the descriptions of interminable waits at checkpoints, rude interrogations, refused entry to home villages for no apparent reason, Barghouti also describes the experience of being seen by others as a criminal, a possible thief, a terrorist instead of the poet that he is. A worthy read to see life from another perspective. Just posted a short book review over at Global Trauma Recovery Institute. 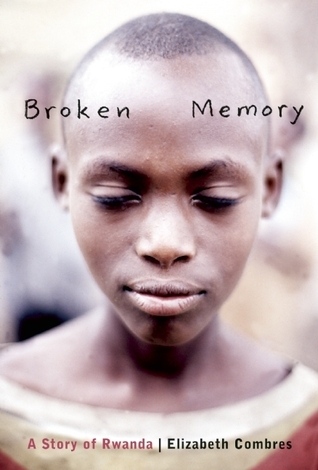 It is a novella about a child survivor of the 1994 genocide in Rwanda. If you are interested in getting an inside look at life after a trauma, dealing with memories and spaces in memories, and a common recovery process, I commend the book to you. Quite moving, easy to read (not triggering for most), and gives some good illustrations of actions of the survivor and other caring individuals that help the young woman regain control over her internal world. I think Marlantes nails us all here. We might not struggle with the same wants but surely we can find ourselves in the same sort of struggle between hero and self, between getting what we want and doing the right thing. And we get confused as to what will get hurt if we tell the truth. Though we lie to ourseves that our lies are to protect others, mostly we lie to protect our own self. 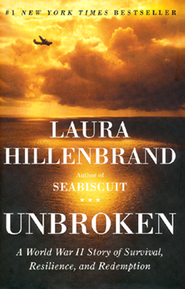 Just finished Laura Hillenbrand’s Unbroken: A World War II Story of Survival, Resilience, and Redemption (Random House, 2010). She tells the story of Louis Zamperini’s early life (which depicts the miracle of his surviving childhood and his own juvenile delinquency) leading up to his Olympic experiences in Berlin and then his airmen experiences in the Pacific. In May, 1943, while looking for another plane that didn’t return to base, Zamperini’s plane goes down in the middle of the South Pacific. Against the odds, he and 2 others survived. Actually, the miracle that he survived could be said about his entire life: impoverished immigrant family, juvenile delinquency, being an Airmen, surviving a plane crash in the middle of the Pacific, surviving on a flimsy raft for 47 days without any food or water other than rain or raw fish here and there, surviving torture by the Japanese for a couple of years and then, finally, surviving PTSD and accompanying alcoholism. Read the book of you are interested in the life of airmen in WWII (it is amazing how many died in noncombat crashes). Read the book if you are interested in hearing how psychological trauma from war and torture often impacts a person. Read the book if you like surprising endings.